Wow how time has flown. It seems as though we were just here in Norwich celebrating the 2016 Grange year and like sands through Noel Miller’s hour glass, these are the times of our lives. Our Juniors are as busy as ever with school, sports, scouts and community service projects, we must always try our hardest to include all of them in our Grange meetings and activities. BUT before doing such, we must insure that our Granges are a positive and productive place for all ages as our actions are usually reflected in the impressions we emit. Today’s kids are growing up in a stressful and volatile environment – with politics, bullying, gender identity all mixed up in a constant state of social media and technology – their upbringing does not have them same hardships as we had growing up. Therefore, we have the opportunity where the Grange can become a familiar and safe place where they are always welcomed with open arms. As hard as it may be to do – we must learn to delegate – start by delegating those tasks you may find easier – trust me – it has made my life easier not having to put tablecloths on the tables, cooking the sausage and drying the dishes at our Granges pancake breakfasts – smile – Before you know it, you too will be like my mother – able to “Work” at our breakfasts by walking around talking to our guests – like many of you – your time and efforts are always applauded and welcome – but you have earned the right and HONOR to accept thy worthy plaudit. 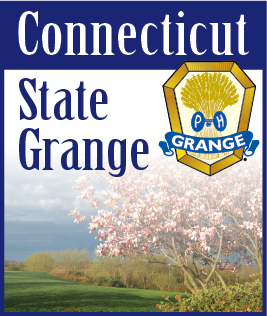 This coming year – along with Kathy Tefft my Co-Director of the State Junior Committee, we will be promoting the Plus 1 Program – creating some guidelines at a state level to encourage our Granges to take advantage of not only this program but all the benefits of being a Junior Granger.